Lights. camera. action! 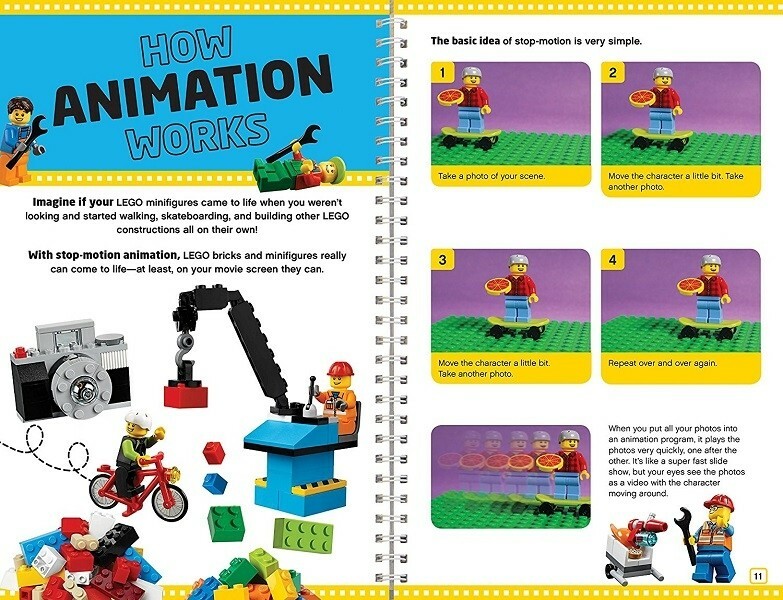 bring your LEGO mini figures to life with this beginner-friendly guide to stop-motion animation. 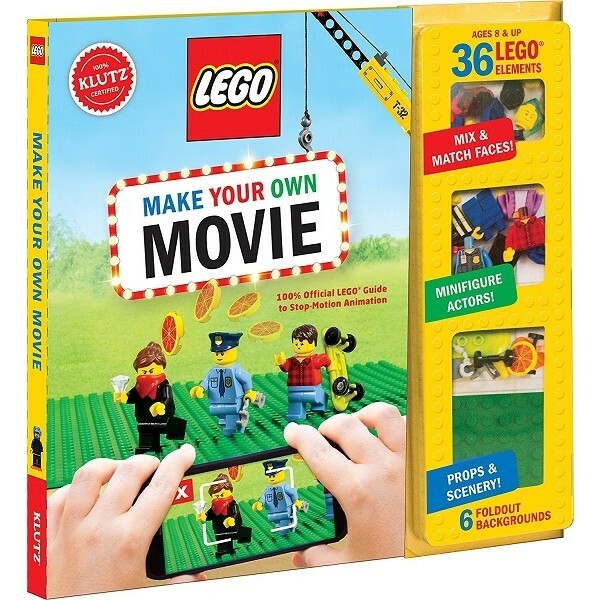 Ten "mini movies" walk you through using your phone, tablet, or computer to make short, funny clips with step-by-step instructions. 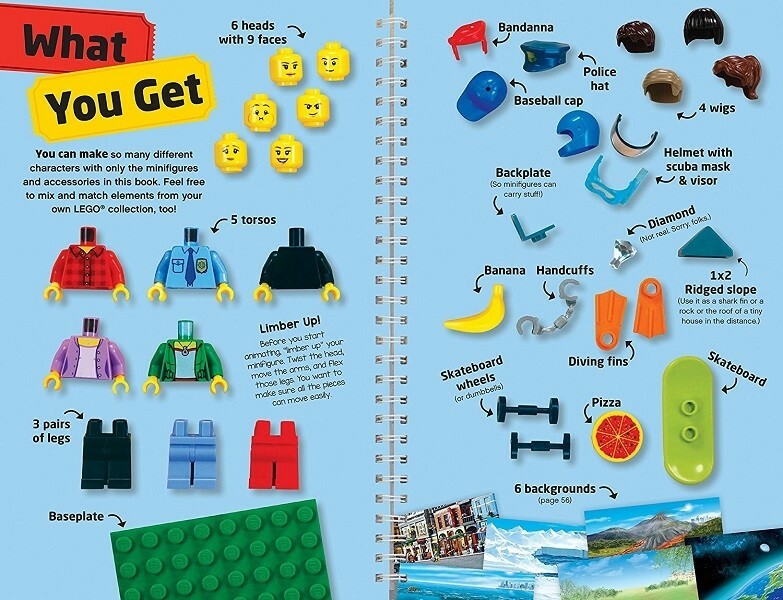 Set the stage with any of the six included background settings and thirty-six LEGO elements including a pizza, banana, baseball cap, six mini figure heads, and more! You'll learn the tricks of the trade as you dive into more advanced skills, such as lighting, sound effects, and camera angles. 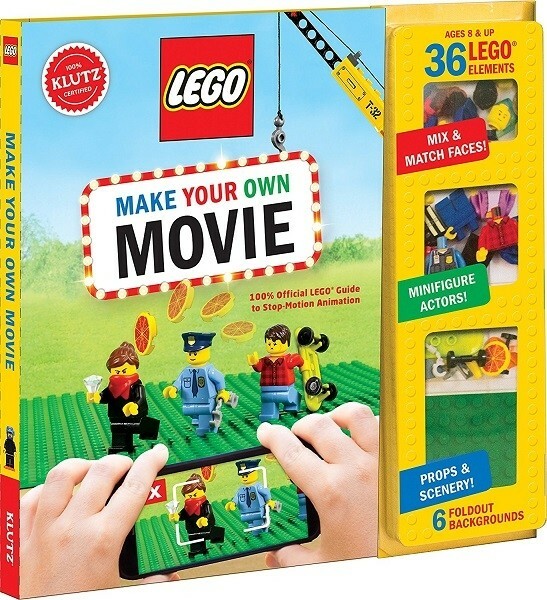 With these tips and tricks, every movie you make is guaranteed to be a successful smash hit.